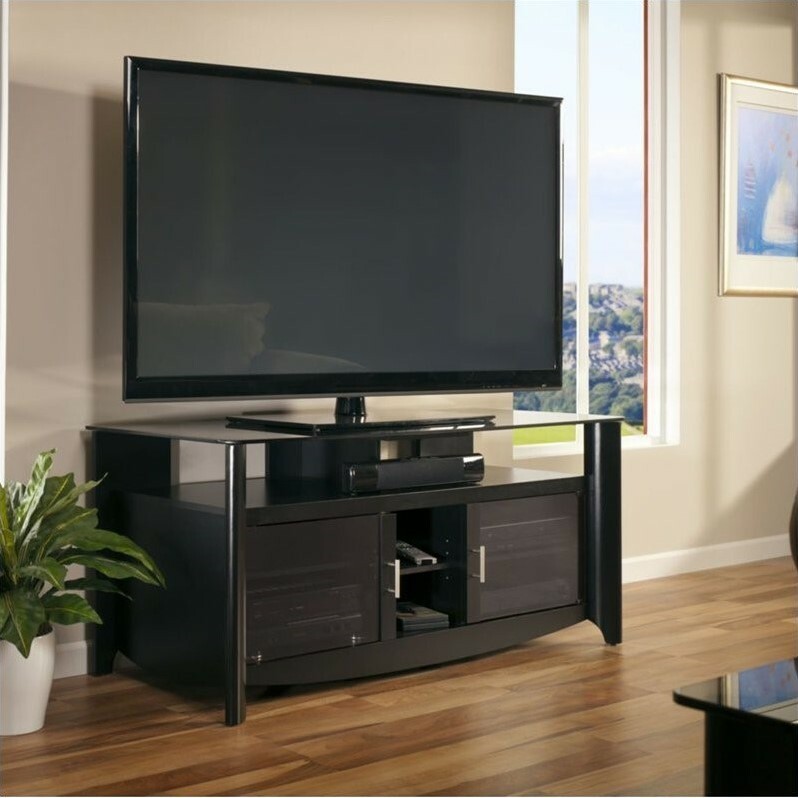 Bush – TV Stands – MY1696003 – As sleek as the flat-screen TVs it displays, the Aero Collection TV stand is a modern statement. 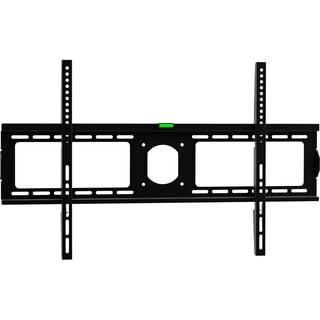 The TV stand accommodates flat-panel TVs up to 60 or 112 lbs. It features a gray tinted top glass shelf, plus room for audio components or a sound bar. Wire management ties and pass-through slots help keep cables hidden yet accessible when they need to be. 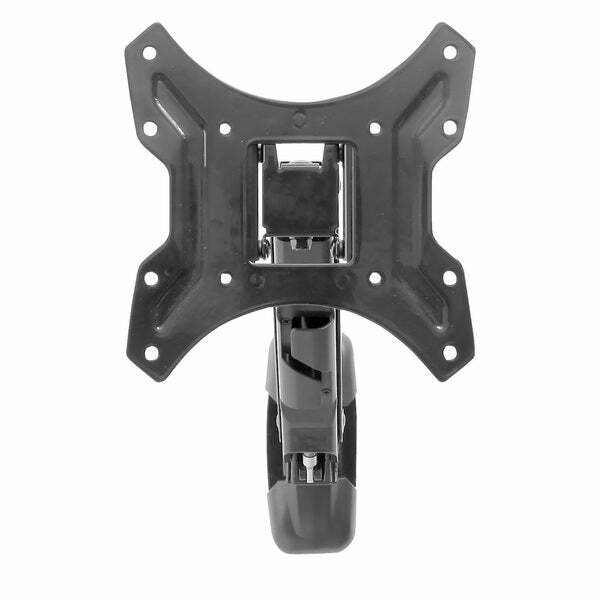 Compatible with the StabiliBar TV Safety Brace. Matches with other Aero Collection pieces, including the Aero End Tables, Coffee Table and Desk. Aero Collection TV stand features contemporary, modern design; Accommodates flat-panel TVs up to 60 and 112 lbs; Durable gray-tinted glass top shelf; Bottom bays features adjustable shelves and tinted glass doors; Top open bas has room for components or a sound bar; Solid back panel includes wire management zip ties and pass-through slots; Classic Black finish; Matches other Aero Collection finishes; Compatible with StabiliBar TV Safety Brace. 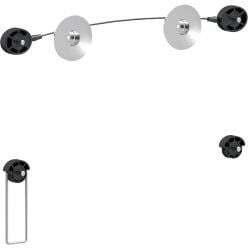 Specifications:Assembled dimensions: 24 3/8 H x 56 W x 22 7/8 D.